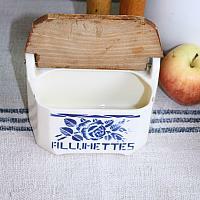 Decorative Antique French Allumettes Box, a wall-hanging pottery match box from France. 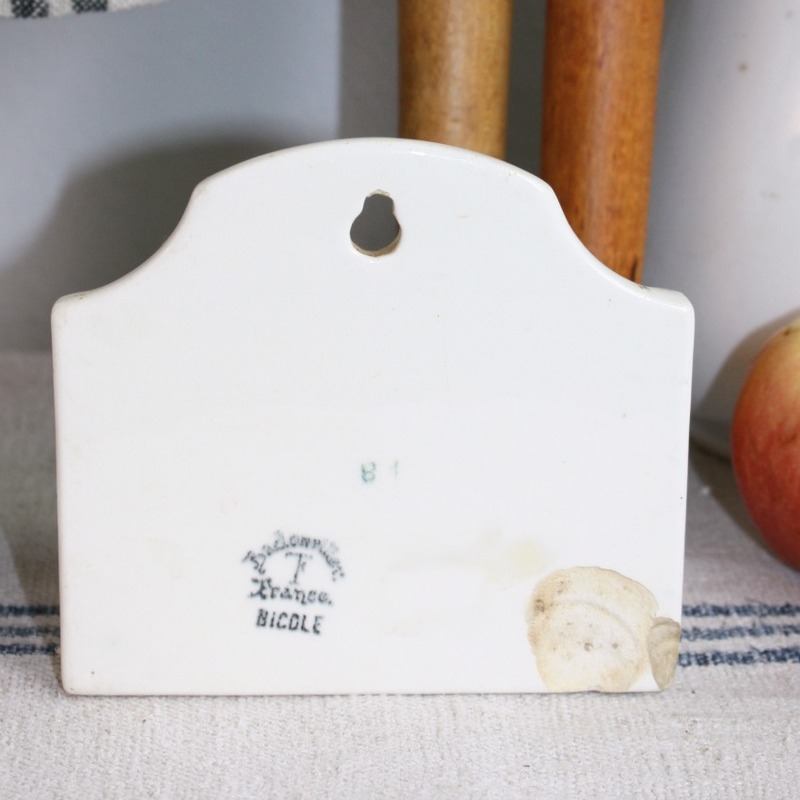 Adds a storied accent to your French country cuisine, and is just as happy to sit on your kitchen counter as be hung near the range! 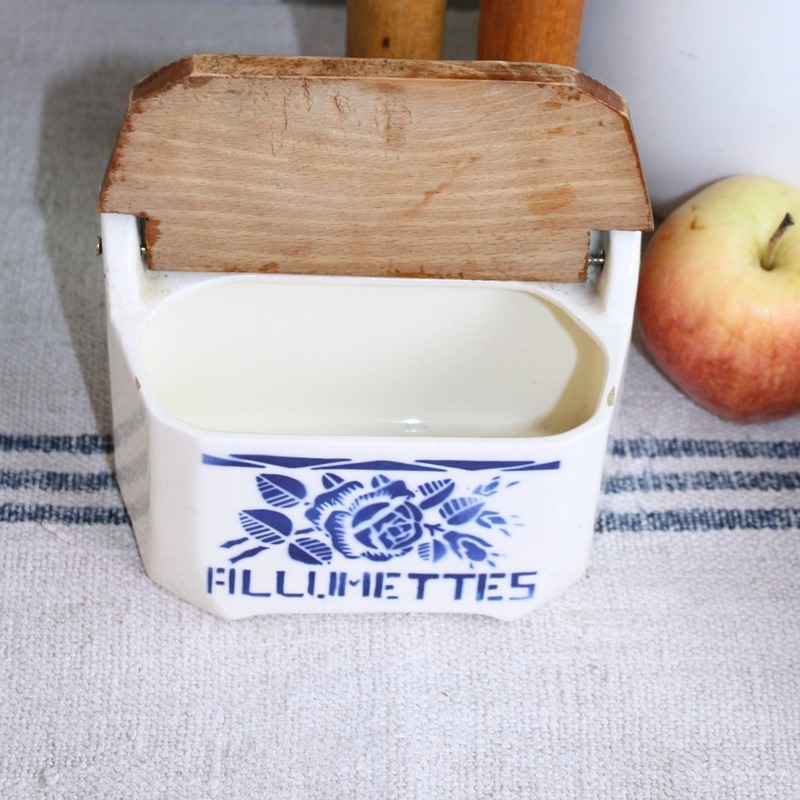 Originally used to hold matches, this aged beauty is white and decorated with a gorgeous blue color, and classic floral design. This particular design is more rare to find, it exemplifies the art deco stylized design ethic. 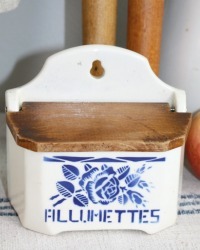 This blue and white box has wear and a few chips on the back as shown. 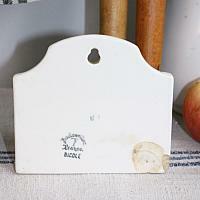 Cover with the original wood lid that works well, such a lovely piece. 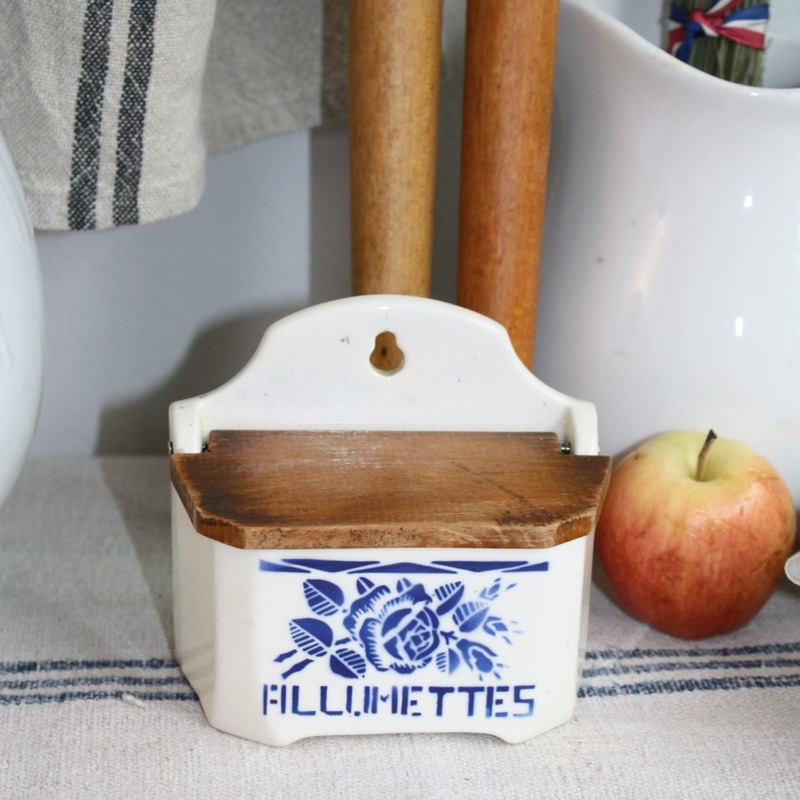 To hold kitchen matches, or to add sweet French flair to your antique French pottery collection. Display to showcase your own personal style at home. 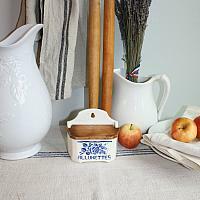 For those of you who love French Country pieces with the grace of time. Measures 5" x 4-1/2" x 3".